If you are keen to get a bit of graduate level experience after you finish your degree, but don't want to commit long term to anything (maybe you want to try before you buy, maybe you want to save a bit of cash and then go travelling) then have a look at some of the paid graduate internship schemes that operate in the UK. They offer a structured development programme lasting anything from 1- 12 months, and you can pick up a wide range of skills along the way. Graduate Talent Pool - a government initiative designed to help new and recent graduates gain real work experience through undertaking a paid internship of between 1 – 12 months. 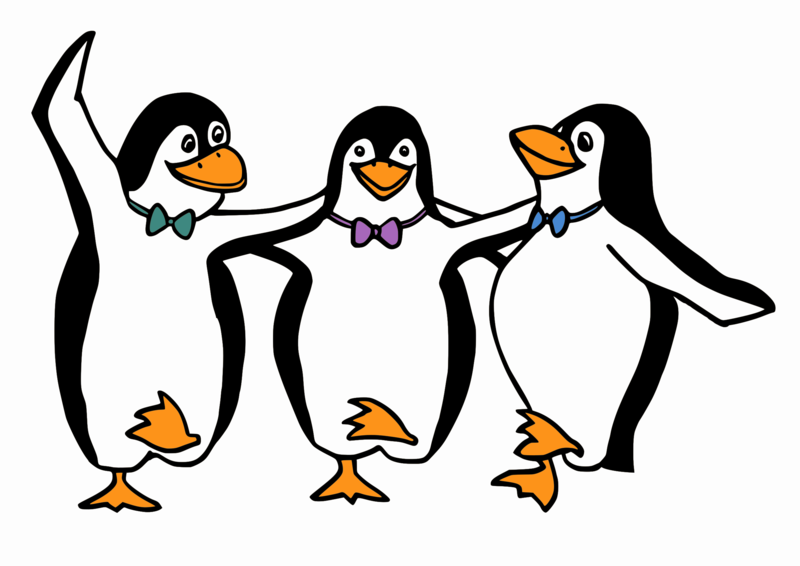 Grads South West https://www.gradsouthwest.com/ - Houses graduate vacancies in the region and will shortly also include details of 6 – 12 month STEM graduate internships with SMEs in Devon. Scotgrad has an interesting one for a chemistry graduate to work on biodiesel waste management. Closes 31/3/19 though!!!!! If like me, you have been hooked recently on Baptiste, and are getting over-excited at the thought of Line of Duty starting on Sunday, then you too need to get out more. Police recruitment is not straightforward - it depends on where you live. Police Scotland are currently recruiting for police officers and there is no deadline as it is year round recruitment. As a graduate, you would go in at the same level as non-graduates. After two years training (at Tulliallan Police College) and on the beat, you can apply for specialist posts (dog handler, traffic, mounted, detective etc) or the leadership development programme for promotion. You don't need to be tall or have perfect eyesight, you can sometimes even apply if you have a criminal record. You do need to pass verbal and data handling tests, which are not particularly hard, but 30% of graduates manage to fail them! Physical fitness is a must too. Starting salary 26k (unpromoted constable up to 40k). There is just one application procedure for the whole of Scotland, but you can state three preferred locations to work in. Believe it or not, there are some summer jobs working with Police Scotland too - you won't actually be arresting any gangsters, but they are currently looking for undergrads to work on software development. England and Wales are different. It's complicated. There are 43 police forces in England and Wales (as well as the big one for Scotland, and one big one for Northern Ireland, ie total of 45). For general police officer recruitment, this means you have to work out where you want to work and apply individually to each. A bit tedious. If you don't have a degree, in many forces you apply for the Police Constable Degree Apprenticeship. If you are a graduate, you may want to wait to apply to the new Degree Holder Entry Programme, which is planned for 2020. The DHEP is explained further on the College of Policing website. It gets more complicated. There is an organisation called Police Now that also recruits graduates (or soon to be graduates) with a 2.2 or above for 28 (out of the above 43) police forces in England and Wales PLUS the Metropolitan Police. It's a 2 year Leadership Development Programme, on the beat with training, in which you aim to improve a community. The Programme opens in August 2019. After the 2 years, you could go on to become a detective, join a specialist unit or apply for the National Policing Fast Track Programme (which gives you the opportunity to become an Inspector after another two years). It gets even more complicated. The Police Now National Detective Programme is currently open for business (closes 30th April). As its name suggests, you can go straight into detective work after a 12 week Detective Academy. Again its a 2 year programme but none of it is on the beat. There are 8 (out of the above 43) police forces involved in this programme (but not the Met - see below). Salary may depend on which force you are with. Note that English salaries usually start at a lower level than in Scotland (£23.5k compared to £26k). You need to be a graduate with a 2.2 and above PLUS have 2 years work experience after graduation. FINALLY, the Metropolitan Police are currently recruiting Detective Constables for an independent 2 year trainee programme, outside the Police Now one. Again you need to be a graduate but you DON'T need the 2 years work experience. Normally for this programme, you need to be resident in London for 3 years out of the last 6, but they have relaxed this rule recently, so that non-Londoners can apply. Closes 31st December 2019. I suspect the Police are making recruitment as complicated as possible to screen out the less intelligent applicants. If you have read this far, and understood it you must be brilliant! Labels: careers using "any degree"
Chemists wanted for the ANTARCTIC! Do you want to do something COMPLETELY different after you graduate? Get away from it all? Make a difference to the planet? Save ALL your salary? ('cos there's nothing to spend it on). If you don't mind a "bit of cold", then have a look at the British Antarctic Survey Vacancy pages. They are currently looking for a chemistry (or physics) graduate for an 8 or 18 month position at one of the science bases in Antarctica. You would be required to carry out the meteorological observations and scientific duties described in the Met Station Instructions (MSI) and to carry out routine atmospheric chemistry measurements which are part of the Tropospheric Chemistry (TROPCHEM) project. Definitely something to tell the Grandchildren one day! Fancy using your degree in a creative way? Maybe you were even torn between studying science/engineering and something more "arty" at one point? I know I have spoken to many students recently who felt exactly that way. Want to dip a toe into the Creative World? For example.....Writing, TV and radio broadcasting? Museums? Book Publishing? Social Media, Buildings Conservation? Film? You can book any of the events in the Creative and Cultural Careers Fair - CCCF on MCH - it runs during 11th - 15th March and there is something on every day, including a mini book fair. *these are also the types of exercise that you might be expected to complete as part of their recruitment procedure, so VERY USEFUL experience! It can be hard to get relevant experience in publishing (and it's sometimes asked for). Wiley-Blackwell do offer 10 week editorial internships for undergraduates, and the RSC offers summer science writing internships. Sometimes people start by gaining experience as a freelance proofreader or editor. The Society for Editors and Proofreaders offer advice and training and you can test yourself on their website to see if you have an "editor's eye". Whether writing articles or editing/publishing, student magazines offer great experience in both. Edinburgh has a fantastic high-quality science magazine run by students, EuSci - and are often looking for contributions or office help with editing or layout. PSI-COM is a website for vacancies in the Public Engagement of Science in particular, also science editing and/or science policy vacancies appear regularly and some are freelance, so you could combine with studying. I warn you that it's not the most attractive website, but there's loads of vacancies on it. The Association of British Science Writers advertises jobs in science writing and publishing, as well as loads of information about getting into the sector. They also have a directory of members - they have little descriptions of themselves and which journals/websites they have worked on. This gives clues as to where you might find opportunities. They have a free online course, as well as information about UK MScs in Science Communication. PhDs and Postdocs can apply for six-week Media Fellowships in Scientific Communication with the likes of the BBC and the Guardian, through the British Science Association. ​Royal Society of Chemistry (RSC) - currently advertising a summer internship in science writing and a graduate trainee editor role, both require science degrees. ​Institute of Physics (IoP) - currently looking for an​ Editorial Assistant, with any STEM degree. Plos One - Scientific Publishing is changing - Plos One is a nonprofit open-access science, technology and medicine publisher, with a library of open-access journals and other scientific literature under an open-content license. 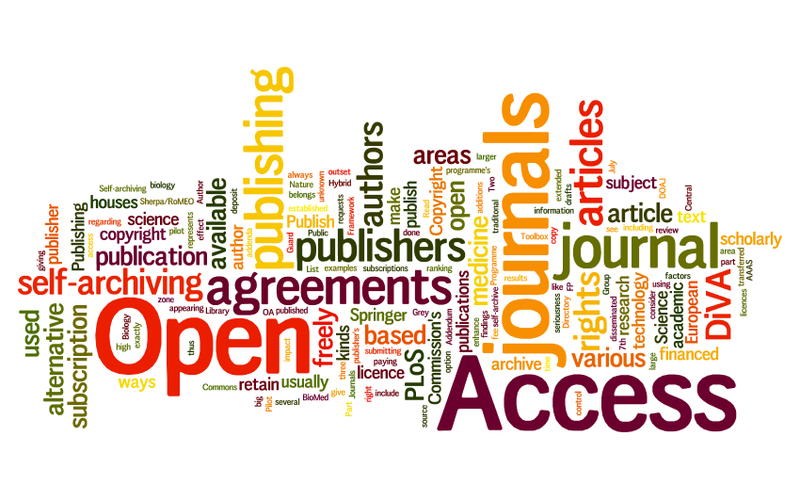 SpringerNature -includes the wide range of Nature journals as well as BioMedCentral, another Open Access platform. Huge number of vacancies, many graduate level editorial. The organisations above (and many others) occasionally have vacancies in publishing, policy, marketing, digital content (and many other areas). If you'd like to work for a local company and manage your own projects while earning a competitive graduate salary, a Knowledge Transfer Partnership (KTP) may be for you. KTPs are primarily aimed at small to medium sized enterprises (SMEs) but companies of all sizes, including not-for-profit organisations in a variety of industries can take part in the programme. To be eligible for the KTP scheme graduates need a 2:1 Bachelors degree in a relevant subject or a Masters or PhD. You'll also need the right to work in the UK. To find vacancies online head to Innovate UK. Here you'll be able to register you interest in the programme, create a profile so recruiters can find you and search current vacancies. You know how every job description mentions leadership skills? And do you feel a bit unsure about how to go about demonstrating you have them, or even how to recognise them? The Edinburgh Business School run a day long event each year with The Army around developing leadership skills. Now this is normally aimed at Business School students (and feedback has apparently been very positive) – but more places are available this year so it is open to other students so it is now on MCH – (which then links to Business School booking system). Brief description: off site working with Army professionals to gain an insight into what it’s like to lead teams, in a pressurised but safe environment, applying theory to practical and complex situations. This develops self-awareness of your influencing skills in group and individual situations, and has a humanitarian aid theme running through it where participants work in a neutral environment to better identify learning points. It's a day long event - Tuesday 19th Feb. In Jan 2019, The Association of the British Pharmaceutical Industry (ABPI - www.abpi.org.uk) released a report describing the skills that the pharmaceutical industry need for the future. In the chemical sciences, skills in medicinal and synthetic organic chemistry and analytical chemistry are particularly sought after. Not surprising as it IS the pharma industry! Chemoinformatics: Chemoinformatics involves the application of computational techniques to existing datasets to address a range of chemical problems. computer science, in order to address problems in chemistry, biochemistry, medicine, biology and chemical engineering. Computational chemistry and computational science: Computational Scientists use mathematical modelling techniques along with information from published literature to build hypotheses for drug targets. In general, there is a lack of qualified personnel at all levels of qualification in those areas - undergraduate, MSc, PhD and Postdoc. It's a 79 page document but the chemistry sections might be worth a read. I spent the final year of my Chemistry degree working in an Industrial placement at Afton Chemical Ltd. Following this placement I returned to the University of York to complete a PhD, which was funded by Afton. Upon completion of my PhD in 2015, I returned to Afton where I currently work as a senior R&D Chemist in the engine oils department. Where was your current job advertised? (or did you find it yourself by another method?). Why did it appeal to you, what attributes were the organisation looking for? Having previously worked at Afton Chemical and maintained contact throughout my PhD, the job offer was made, being of mutual interest to both parties. From my perspective, I was particularly interested in conducting research with a direct real-life application. 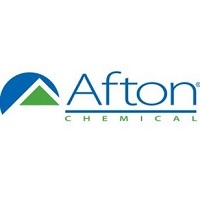 I was very happy to return to Afton Chemical; throughout my industrial placement, it was clear that there was a real commitment to its motto, “Passion for Solutions”, which combined with Afton’s matrix structure, greatly appealed to me. I was also attracted by the friendly nature of the organisation with the “family feel” due to its size and influence of the Gottwald Family. Which other organisations offer similar roles? The engine oil additives business is large, but key players are few. Afton’s global competitors are Infineum, Lubrizol, and Oronite. Some oil companies such as BP and Shell also develop engine oil additives, but this is usually in conjunction with specialised companies like Afton and only for their own use. Other companies such as Evonik and Croda occasionally compete with Afton in developing engine oil additives but more often supply Afton with some of the many components that we use in our Research & Development. It is important to highlight that most R&D roles across a variety of industry will require the necessary transferable skills such as problem solving, team work, communication and data analysis. Can you describe what your job entails or a typical week in your job? With your crystal ball, what does the future for your sector/job look like? In one sentence my job is to formulate systems of additives to develop engine oils which meet defined industry and customer performance levels. A typical week as a senior R&D chemist involves planning and executing investigations to analyse engine oil additive performance in specific areas. Some of these areas include oxidation and wear protection, prevention of sludge build-up, and inhibiting corrosion. In addition to determining the makeup of the additives to test, a key part of these investigations relates to project management, most importantly setting budgets and timelines. Testing in engine oil additive development is very expensive: a single routine bench test can be upwards of $1,000 and one fired engine test can be over $250,000. In the course of a single investigation, hundreds of bench tests and often 20 fired engines are run. Therefore, it is important to ensure that all of this testing is carefully planned to maximise the value and meet the needs of all stakeholders involved. Prior to running any tests, the project lead (often the R&D chemist) and all stakeholders align on a project goal, specific objectives the project hopes to achieve, and a plan to meet those objectives. Once agreed, it is up to the R&D chemist to prepare the test oils and organise the required testing to ensuring successful execution of the plan. When testing is complete there is a large amount of data analysis to be done to extract maximum value and to avoid unnecessary repeat testing in the future. Finally this analysis is followed up by a detailed summary of test results and conclusions which is communicated to all stakeholders and the wider team. There are a number of challenges presented from changes in engine design such as after treatment and hybridisation. When these changes are made the lubricant must maintain the previous level of performance and undergo additional performance testing to protect against any new issues that may arise. All of this requires significant and continuous research to develop understanding and create solutions. In the longer term, changes to all of the automotive sector are varied and somewhat nebulous. Electrification is an example of one of these major changes, but it is still to be seen by how much and when its effects will truly shape the engine oil additives business. From a more general lubricants perspective there are typically always increasing demands in other sectors such as in generators and turbines. Afton Chemical is set up as a matrix organisation, this is a cross functional set up where all stakeholders and job role have an input into projects. The matrix approach provides a great set up for any given individual to experience and consider all aspects of new product development – from making a business case for the project to setting up the research plan through to logistical, EHS, and marketing aspects of product deployment in the market. However, working in a matrix organisation can also be quite difficult. Being involved in areas which are not part of your own role can be distracting from the core research and development activities. At times, involving many additional team members outside of R&D causes decision-making to be slow which delays research activities, something that is often frustrating. How have you used the skills and knowledge from your degree in your job? An engine can be considered like a giant chemical reactor with a wide range of chemical reactions taking place. This can be from radical oxidation reactions in the bulk fluid to tribological effects on wear and friction. In order to hypothesise and understand the effects that additives have on performance and with each other, an R&D chemist relies on a core chemical understanding. Beyond this, to be successful many key transferable skills were developed during my degree. With Afton Chemical being a matrix organisation, communication, in particular to difference audiences, is absolutely critical. During my degree I had several opportunities to explain novel, in-depth areas of chemistry to “GSCE Students” which prepared me for this. These experiences are not dissimilar to updating non-technical stakeholders at Afton on detailed project progress. Problem solving, project management and team work skills that I developed over the course of my time at the University of York are also key in any R&D role. As my PhD was funded by Afton Chemical this has also provided a useful understand to certain problems for both Afton Chemical and the wider industry. What extracurricular experience (eg work experience, volunteering, societies, sports, interests etc) do you believe helped you get where you are today? During my time at the University of York I was involved with numerous sports clubs and took positions on committees of both the mountaineering and the cycling club. I was also a scout leader while at university and I continue to lead groups today. These activities have allowed me to develop many transferable skills such as communication, team work and problem solving. Even more valuable were the opportunities within these activities to learn and practice activity planning, budgeting and organising, and communication around plans and managing people. These skills are absolutely key to the successful running of projects in any R&D role. Is there anything you wish you HAD done in your past to make it easier to get where you are today? If I was to revisit my career, I would spend more time at the beginning to fully understand the expectations for someone in my role and identify areas for self-development. The largest difference in moving from academic work, particularly PhDs, to industrial work is the amount of coordination required for success. PhD activities are very self-led whilst working in R&D within a large company requires approval and oversight from several stakeholders. Oftentimes I also work on projects directed and managed by others. Throughout the course of a project, working in industry requires a project leader to manage communication and differences of opinions when there are multiple paths ahead. What advice would you give to students wishing to enter your field of work? One piece of advice I have when moving into a new role is to ask plenty of questions. It is the best way to understand your own strengths and weaknesses so that you can improve and progress through your career. Be sure to accurately estimate your abilities, as others will assign tasks based on projected capabilities. This will ensure goals are challenging whilst still being achievable. Chemistry and Chemical Engineering graduates from 2017 - where are they now? Below are links to the destinations (the jobs, courses, or other activities) of chemistry and chemical engineering graduates 6 months after graduation. To give a richer picture, some are listed as two years' worth of data and some (eg Chemistry PhDs from 2015, 2016 and 2017) as three years' worth of data. I enjoyed my university studies, but knew I didn’t want to pursue a career in Pure Chemistry, hence I decided to graduate after four years rather than staying for the fifth to complete a masters as I had initially planned. I felt it was time to apply the skills I’d learned in some capacity. The other thing I knew was that I wanted to work in an environmentally conscious organisation, with some positive impact of the work I would undertake. But that was where it ended, I really was a classic ‘I don’t know’ case and the career search felt quite daunting. I decided to undertake some temping work to give myself time to consider what career could be right for me. What I didn’t know was that a morning on a reception desk for Atkins would set up the course of my career. I met the head of the Water team who was recruiting process engineers/ scientists. I had never heard of process engineering but after a bit of research thought it could be a good fit. I worked within the team for 3 years as Graduate Process Engineer, during which time I developed a good knowledge of wastewater process and also gained exposure to other areas like project management and a financial/ commercial awareness. My first job change came as a result of a conversation with a colleague who knew of an opportunity for a Design Engineer role in another consultancy which involved a six month secondment to Sweden to work within an energy and process team, focused on bringing the extensive experience there in anaerobic digestion and biogas upgrade technologies to the UK market. This was a fantastic experience both personally and professionally. Everything I had done up to this point was design and theory driven so the opportunity to work within an operational environment with Veolia seemed a natural progression. I did initially question my move as I quickly found myself spending days taking samples in a wastewater sludge processing plant as I was tasked with troubleshooting and optimising the process; quite a change from the cosy office environment! 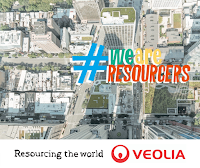 However, I have had three roles within Veolia since joining in 2011 (Process Technologist; Energy Manager; and my current role, Performance Manager, Technical Direction) and having the practical on site experience has been so invaluable; theory is great, but I have learnt so much from working alongside operational teams. I found my current role through our internal vacancies site. I was interested in a holistic approach to monitoring and improving performance within municipal water and the role of Performance Manager widened the remit for me to do this. 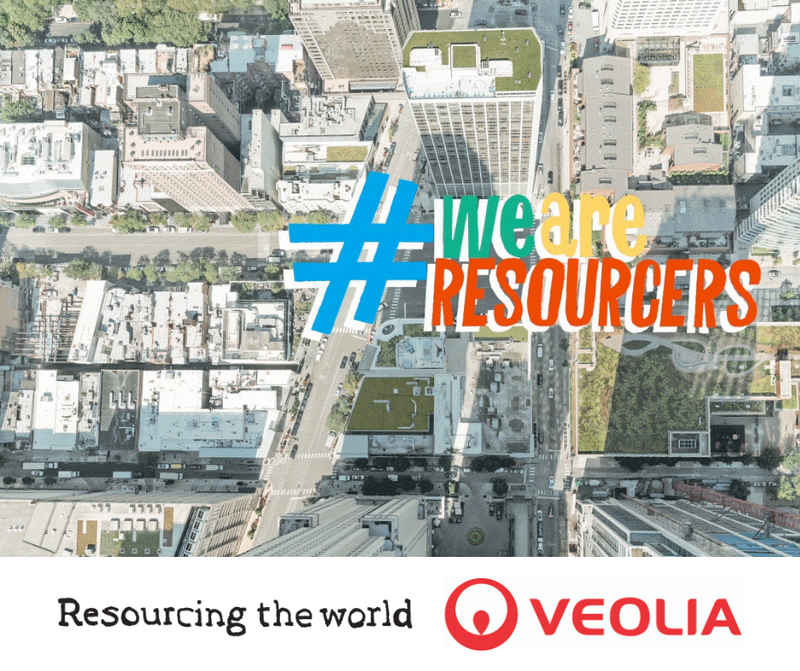 My role sits within the technical support function of Veolia, focused on supporting the municipal water operational teams improve their plants performance. In the UK, Veolia mostly operates and maintains wastewater treatment plants, hence this is our focus area. An increasing part of my role is focused around data management and business intelligence; making plant performance visible to aid performance improvement. I see this trend continuing and accelerating; capturing more sensor data, automation and real-time/ predictive analytics. As a performance team, we still spend a significant amount of time manipulating data pre any analysis taking place, but this is changing through development of BI solutions which will massively facilitate plant optimisation going forward. Being part of a global company and having a well established technical and performance platform to draw upon and share experiences including the opportunity to benchmark a site’s performance against similar ones from around the world and forums to seek advice. Being a support function, it can sometimes be challenging to get things implemented in the busy world of operations. During my early career as a process/ design engineer, the foundations in chemistry were very helpful when performing calculations such as dosing rates etc. Though I use very little chemistry in my day to day work now; the skills I developed during my degree in analytics, having a methodical approach and reporting writing are those I use most today. When I started working for Veolia, I joined the Institute of Water Scottish Area committee as their Publicity Coordinator and followed on from this as the committee Secretary for 4 years. I remain on the committee now and it's been a great platform for keeping up to date with general water industry news, networking and attending interesting events. It's a very inclusive Institute and I'd encourage anyone working within the water industry to join and find out for themselves. They have lots of different registration options to consider. I think undertaking an industrial placement as part of your degree is a really great idea and something looking back that I would perhaps have taken up. I think it makes the transition from academia easier and also provides an earlier chance to start thinking what may be the right career path for you. I know many students who have done placements with us and have secured a job following completing their degree, a nice position to be in, in the competitive market place! For my specific field of work, theory combined with practical experience has been a great grounding. When opportunities are presented, grab them. 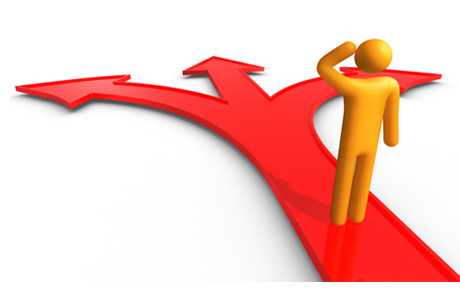 If you have a career plan, great, but if you don’t, try not to worry too much. Most of my career has been built around oportune conversations or through the networks I have built. If you focus on the things you enjoy and work hard and with enthusiasm, you’ll succeed. Your Chemical Physics degree - are you a specialist or a generalist?